Imperial topaz is also known as “precious topaz” and is one of the most sought after natural topaz. Imperial topaz is considered to be the colour of the setting sun. The gem gets its name from the Russian Tsars of the 17th century, due them claiming exclusive rights over the pink topaz gems that were being mined in Russia. Imperial topaz is slightly rarer than natural occurring topaz, which as a result it makes it more valuable. Imperial topaz is another gem which can change colour according to the amount of light it receives; when it is tilted into the light the gem appears to be one of two colours, either orange or red. It was first classified as an orange with red dichroism gem. Whereas, nowadays it is more common to find imperial topaz gems in various colours, such as yellow, pink, red or peach-pink. However, the colours are known to fade gradually due to exposure to daylight. Imperial topaz is quite a transparent gem. It reveals high clarity with little inclusions, which allows the topaz gemstones to be examined by the naked eye and are found to be an ‘eye clean’, meaning that there are no imperfections to be seen. The gem is highly cherished for its glassy lustre. Ancient Greeks believed that topaz was a powerful and precious stone which could increase the wearer’s strength and provide invisibility. Both ancient Egyptians and Romans associated yellow topaz gemstones with the Sun God. Indians believed that topaz unlocked the throat chakra, which eases communication and self-expression. Even today the topaz gem is highly sought after by artists and public speakers. Imperial topaz gems are the birthstones for November and are also for those born under the zodiacal sign of Sagittarius. It is also the gemstone that is usually used to celebrate couples 23rd wedding anniversary. 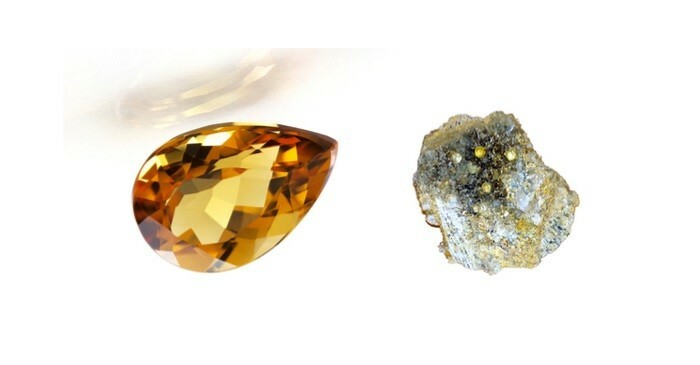 The value of topaz gems depends on their quality like any other gem. When topaz was first put on the market, blue topaz gemstones sold between $20 and $40 per carat, it is now currently priced at $25 per carat at retail for ring sizes. Clear topaz gems, from which the blue topaz is made, are available in sizes up to 100 carats and sell for less than $8 per carat. In contrast to this imperial topaz gems are valued at around $1000 per carat. The most valuable topaz gem is of a rich pink or red colour, valuing at around $3500 per carat. These are quite rare in sizes above 5 carats. Jewellers must say whether diamonds are mined or..
Russia's Alrosa raises $11.8 million in New York..
Intesa reimbursed so far 60 percent of 8,000 clients in..
Intesa reimbursed so far 60 pct of 8,000 clients in..
Famed Cullinan mine banks on big diamonds to drive down..
Gucci to add sparkle with high-end jewels, Kering's..
How to Invest in Gemstone Jewellery?